Are People With Alzheimer’s Disease Safe in Kentucky Nursing Homes? According to the National Institute on Aging, five million Americans may have Alzheimer’s disease. It is the most common cause of dementia in older adults, and it is both irreversible and progressive. Memory, reasoning, and thinking skills may all be impacted by this brain disorder, and significant behavior changes may occur. Many families are forced to make the difficult decision to place their loved ones live in nursing homes so they can be cared for and safe. While many nursing homes provide the skilled care that people with Alzheimer’s disease need to live with dignity, nursing home residents with Alzheimer’s disease may be victims of abuse because their memory loss and communication difficulties make them inaccurate reporters. Thus, nursing home staff may take advantage of these residents because they expect that the abuse or neglect will never be discovered. Changes in behavior, such as agitation or aggression, which are unexplained by a medical doctor. Changes in health that are unexplained by a medical doctor. Physical evidence of abuse or neglect, such as bruises, burns, bedsores, malnutrition, or dehydration. Thus, you may be able to investigate or report what happened even if your loved one can’t do it. 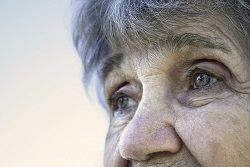 Are Nursing Homes Liable for Alzheimer’s Deaths?